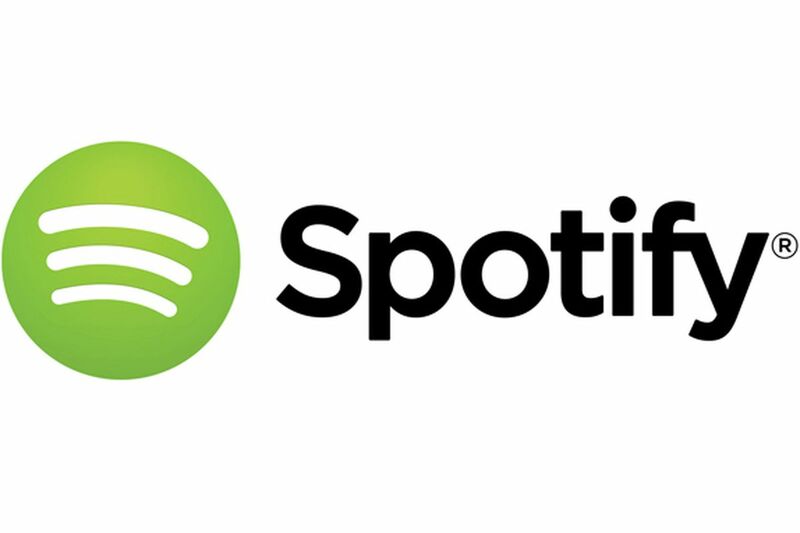 Pandora’s Box: Spotify is poised to become the #1 music streaming service in the United States. This past month, digital marketing research firm eMarketer issued its new forecast on music streaming activities in the United States. What it shows is that Pandora, which has dominated the market ever since the category was created in 2000, will likely fall to the #2 position, overtaken by Spotify. 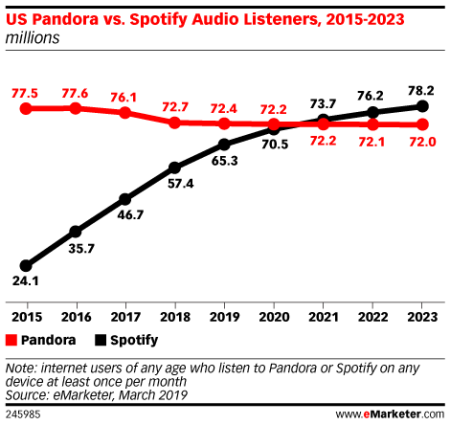 Based on a calculation of internet users of any age who listen to music streaming on any device at least once per month, Pandora jas occupied a narrow band of between 72 million and 77 million listeners since 2015. Actually, the trend had been building since even before 2015. In 2012, Pandora had ~67 million users compared to Spotify’s paltry ~5 million. But Pandora has been shedding users in recent years. As the chart above illustrates, by 2023 Pandora will have lost nearly 10% of its users since 2014. As for Apple Music, there’s a reason it lags behind other music streaming services in the rankings. That service operates on a subscription-only model and doesn’t offer any form of advertiser-supported free usage. Forecasters expect it to remain in the #4 position with its “premium-only” business model. More information about the eMarketer music streaming forecast is available here. What are your own music streaming listening habits? Have they changed in recent years, and if so, how and why? Please share your thoughts with other readers.